Special promotion! Book this apartment between 12/3/2019 – 25/3/2019. Possibility to rent from 1 month starting from now, finishing latest by the end of August, 2019. 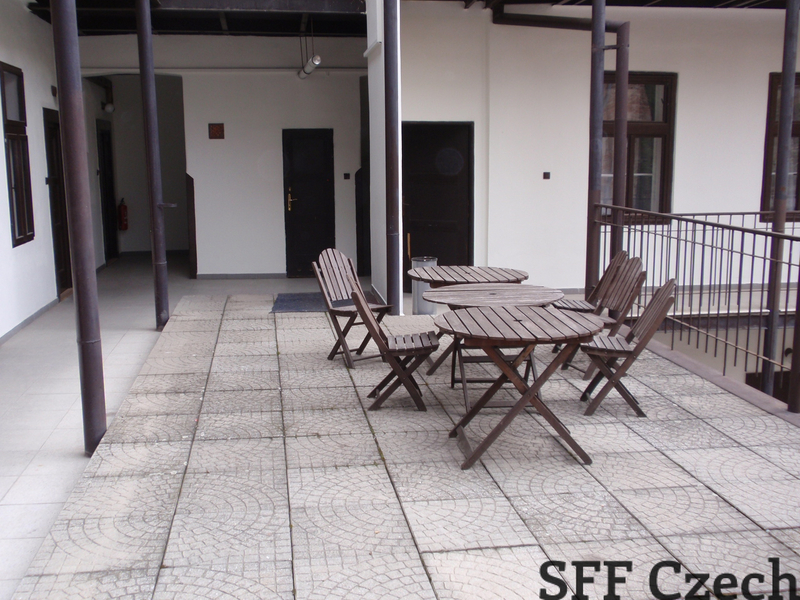 Monthly special price during this promotion 16.000 CZK including all utilities and internet. 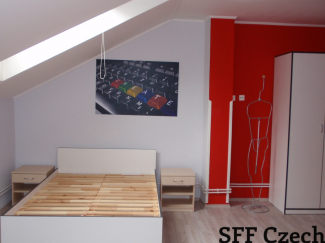 The furnished and spacious attic studio apartment of the size 34 sqm. 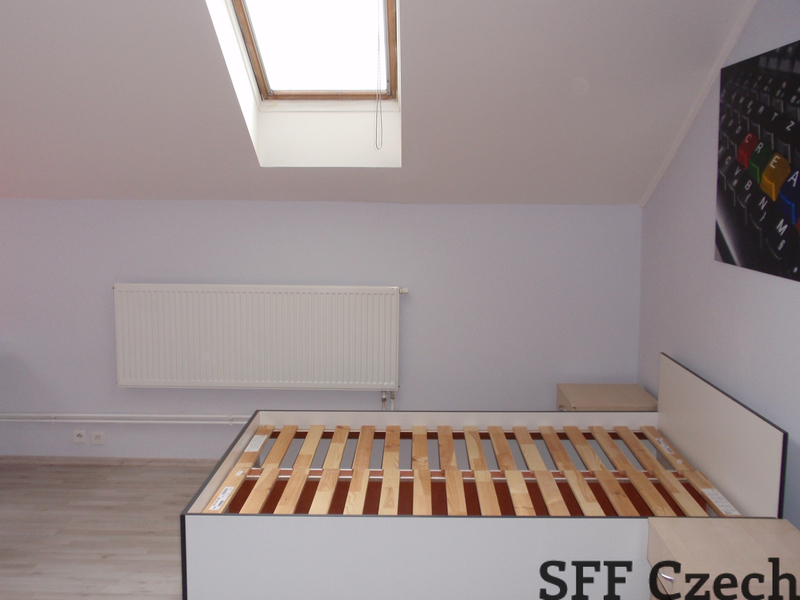 for rent in Praha 3 – Žižkov. The apartment, which is ideal for student housing is situated on the 3rd floor of a brick house with no elevator. It is a spacious room where is the bed with a mattress, desk with a chair, lamp, wardrobe, night stand. In a small kitchen unit is a fridge/freezer, microwave, two-burner cooker, also glasses, plates, pots, cutlery, pillow and blanket. The bathroom has a shower and toilet. The apartment is located near the street Koněvova (bottom) in Prague 3, Žižkov and meets all the requirements and needs of students and young proffessional workers. The house has a shared laundry room for tenants in ground floor of house. Large terrace wih seating can be used by the tenants. 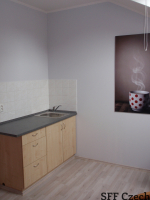 The whole house and apartment has been completely refurbished in April 2014. Internet is included in the rent. It is a popular location, just few minutes from the University of Economics. There are excellent amenities - cafes, restaurants, shops and more. Transportation- 3 minutes on the tram or bus. The center of Prague 4 minutes by tram to Wenceslas Square. Only one station to the metro station Hlavní nádraží or Florenc (yellow line B). 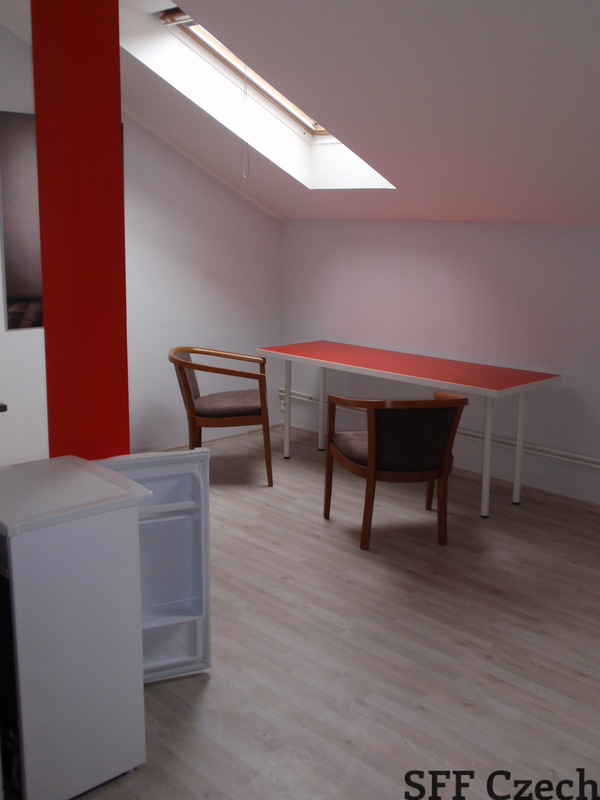 The apartment is ideal for student, individuals or a couple.